Keep misplacing your mobile phone? Not appreciating the endless rainy weather? Well, Angel has the solution for you with our free template and tutorial! 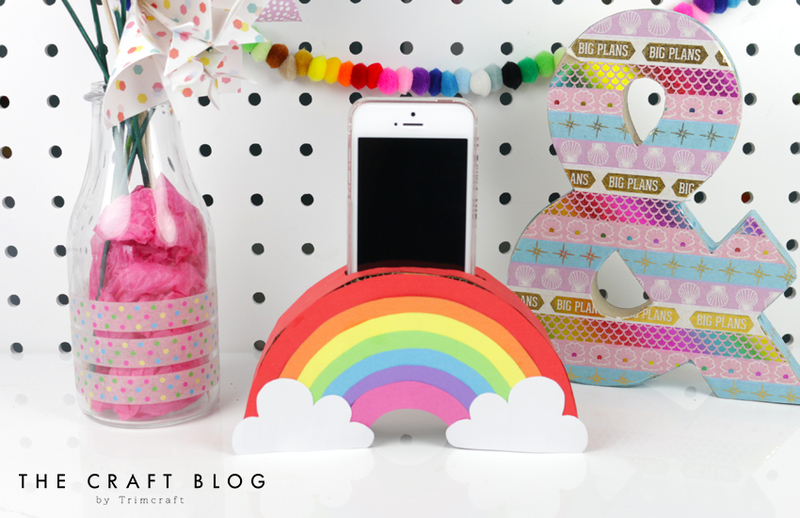 She is going to take you step by step to create an adorable rainbow DIY phone holder to not only bring you a little happiness when the weather is so glum but to also find a solution to misplacing your phone around the home! 1. 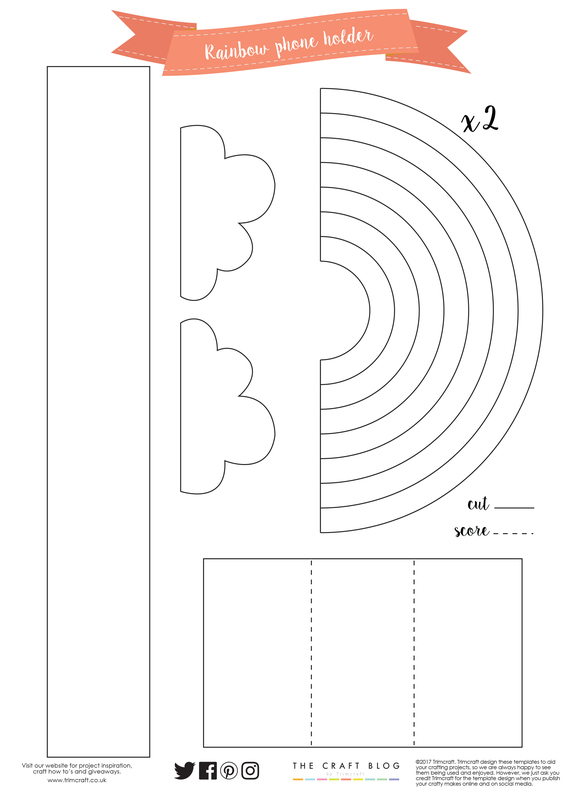 Download, print and cut out the pieces from the free template on cardboard. 2. Take the smaller rectangular piece and score along the marked lines as shown on your template. 3. Fold the smaller rectangle along the score lines and glue to the middle of each rainbow side. 4. Take the longer rectangle and in the middle, cut out a small rectangular shape big enough to fit your phone. 5. Attach the longer rectangle across the top of the rainbow using washi tape on both sides. 6. Take rainbow colours from your Dovecraft A4 coloured card pack and cut out the segments of the rainbow accordingly. TIP Cut off a segment of the template before cutting out the next colour for a more even rainbow. 7. Once you have all of your pieces, layer and glue them to the cardboard on both sides. 8. Add a strip of red coloured paper to the top to complete the rainbow and carefully cut out a hole at the top for your phone to fit in. 9. Cut out clouds from a piece of Dovecraft White card and stick these to each side of the rainbow, at the front. How will you use Angel’s tutorial & template? We’d LOVE to see so don’t forget to #Trimcraft when uploading to social media and to share your projects in the Inspiration area.